The winter is the worst time of the year for my skin. My skin is constantly dry and itchy. I usually remember to exfoliate my face but I always forget my body. Sometimes when there is too much dry skin build up that my body lotion can't be as effective unless my hands and body are exfoliated. 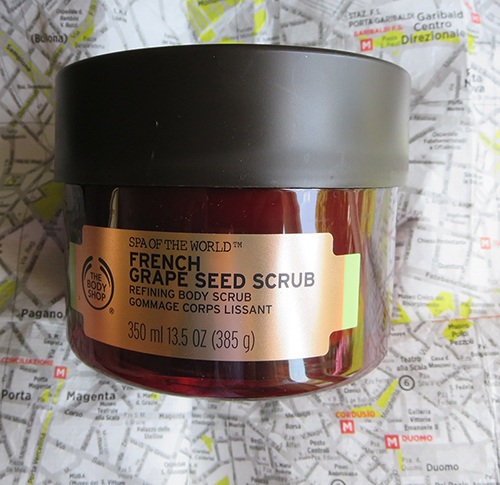 I have tried a lot of scrubs and I think you will like The Body Shop French Grape Seed Scrub from their Spa of the World collection. The Body Shop French Grape Seed Scrub comes in a big tub so I think it should last you awhile. 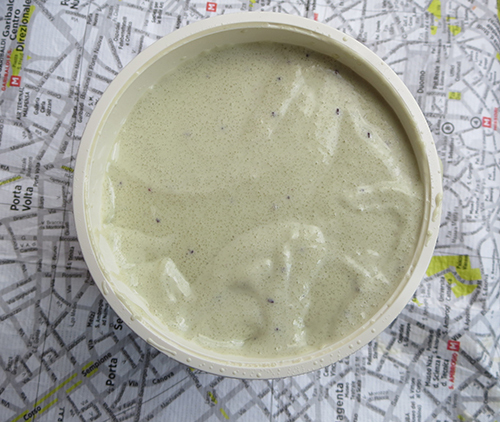 It has an odd grape minty scent that some people may not like. It is not your usual sweet or floral scent that I usually use. I don't mind the scent since it is not that strong. It is a sugar scrub with a lot of sugar. My legs were so dry before I used it that I am started to see the scales. I applied about a table spoon for each leg and massage it into damp skin. I love to do this before I wax or shave. You will be surprise how more effective your shave will be once you skin is nicely buffed. After using it only once you will be amazed how your skin feels. Of course you don't need to be rough with the scrub. Gentle circular motions is more than enough. I would highly recommend trying this product. Hmm! Im not too sure about a grape mint scent but the Body Shop products are rarely misses! I will give this a try. Also have dry winter legs..
My skin is so dry I could really use this on my legs! This would be great on my dry skin! Would be perfect for my skin during our cold winter time! This stuff looks good enough to eat! Thank you! Really unique ingredient. seems fancy. This looks like a good product for my skin. Perfect body care even now when it is still cold outside!